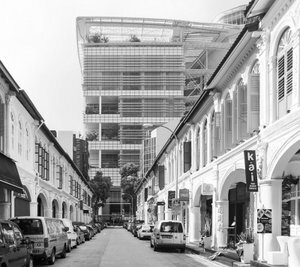 Prime shophouse street location near the Raffles Hotel, Bras Basah Complex, Raffles City and Bugis Junction. Our facility is located in a historic shophouse. This unique location offers additional benefits of a regular office outfit not just a postbox. POSTEBOX members are able to make use of PlusConcept desk and meeting room services. Within 5 minutes we have 4 MRT Stations covering 4 MRT lines (City Hall (North-south RED, East West GREEN, Bugis East West GREEN | Downtown BLUE, Esplanade, Circle Line YELLOW, Bras Brasah Circle Line YELLOW). We are well connected by Bus (North Bridge Road: Bus No.7 32 51 61 63 80 145 175 197 or Beach Road: Bus No.56 57 100 107 743 961 and a lot more). We have coupon street parking on Purvis Street. Other cost efficient parking options nearby are the Bras Basah Complex with HDB parking rates and the National Library Parking with similar rates.